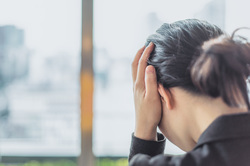 Poll any group of employees—from the mailroom to the upper levels of management - and you’ll find poor workplace communication as one of the top organizational complaints. For something that we do every day, we just don’t seem to be very good at it. In fact, the attitude that communication should come naturally may be contributing to the problem, since workplace communication remains one of the most overlooked and untrained job skills. Although most employees have little control over their companies’ communication processes, all of us contribute to the quality of our workplace communication through our interactions with our coworkers. Here are a few tips to improve communication in your own corner of the workplace. The same message can be interpreted in vastly different ways depending on the tone in which it is delivered. Always strive to keep communication positive and polite. A negative, accusatory, or aggressive tone tends to put the listener on the defensive, causing the underlying message to be distorted or not heard at all. Effective communication starts with observation. Because not everyone communicates in the same manner, knowing and mimicking your coworkers’ individual styles can vastly improve your communication with them. While a brusque, to-the-point style may work with a type-A personality, it may seem rude and impersonal to someone who likes to make polite small-talk before getting down to business. Knowing and adapting to these styles can make all the difference. Timing is sometimes the most critical part of delivering your message. If you require someone’s full attention for a length of time, it is often helpful to schedule a time to meet instead of approaching that person when he or she is focused on other things. Sometimes this can be done in an informal manner by requesting that someone see you when time permits. No one likes to be told no. When asked to perform a task that may take you away from other important work, inform that requestor of the time and/or expense the task will take to accomplish, and the effect it will have on your previously scheduled projects. Armed with this information, the requestor will be able to draw his or her own conclusions about whether to proceed, and is less likely to focus on your perceived unwillingness to do the work.